The registration is now open! Click the image below to register. We trust that you are getting back in the swing of things. We hope the summer gave you an opportunity to relax and re-energize for the new school year. We have been working diligently to modernize and update our OBEA website and resource bank. We are confident members will be impressed with the new format which will launch in the near future. Our VPs-Professional Development, Amy Hargrave and Emily Marotta-Kulcsar, spend a great deal of time organizing opportunities for members to network and share best practices. The past year has seen a lot of changes in our educational institutions as well as the political arena. Hopefully, Business Studies will be perceived more along the lines of an essential service provided to our students’ educational careers. We are excited about what the future holds for our members and their students as we move into the school year. Our hope is that, through our members’ collaboration and sharing, we will be able to provide the most innovative and effective learning opportunities for our students. 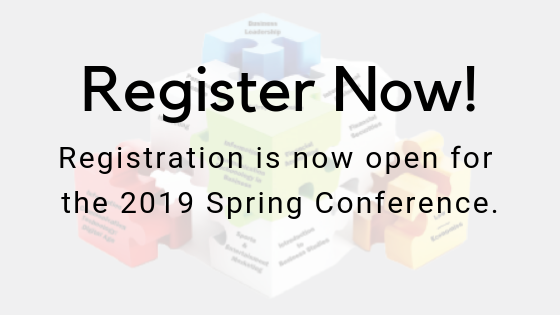 Our Annual Spring Conference will be held on May 2nd and 3rd, 2019 at the Airport Holiday Inn-Toronto International Airport. We encourage you to apply for funding from your school administration as well as your federation to ensure that you can attend this outstanding professional development opportunity. We also encourage you to share your knowledge with your colleagues by applying to be a workshop presenter. Our PD team will be meeting in mid November to assemble the schedule of workshops. As always, each workshop that is accepted entitles one of the presenters to a free day at the conference. Please go to www.obea.ca to submit your workshop proposal. We will notify you by email when the submission page is up and accepting workshop proposals. I would like to express our deep gratitude to our Corporate Sponsors for their ongoing support. It is as a result of this support that we are able to offer our Spring Conference and our Awards Luncheon. Thanks also go out to our District Councilors, Contest Chairs, PD representatives and Executive Members for all the work they do to support the activities that OBEA offers. OBEA has been a strong advocate for Business Education for over 120 years and is wholly reliant on the efforts of its volunteers. As always, we serve you, our members! Please feel free to contact us at any time with comments or suggestions. All executive emails can be found on the OBEA website under CONTACT US. We appreciate your support of OBEA through your membership, which enables us to accomplish our mandate of supporting the professional growth of business educators. Wishing you a productive and enjoyable year. This site has been designed to give basic information about the Ontario Business Educators' Association. Our organization has been serving the needs of business students and teachers since 1895. Some of our activities are outlined in the links to the left. Others, such as our many resources for the classroom teacher, are available on the dynamic members' site. For more information feel free to contact any of the current executive members, located in the Contact Us section.